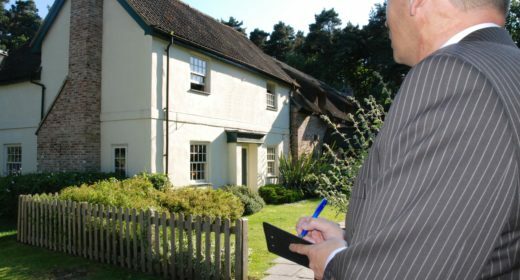 If you've had an offer accepted on a property, you'll be wondering whether you need a house survey and if so which one. We look at different types of home surveys, home survey costs and which type of survey is right for your property, where to find a good surveyor and - most importantly - how to get the most out of your survey. A property survey is a detailed inspection of a property’s condition. The surveyor inspects the property and tells you if there are structural problems like unstable walls or subsidence. They will highlight any major repairs or alterations needed, such as fixing the roof or chimney chute. The report from the surveyor also provides expert commentary on the property, from the type of wall to the type of glazing. A mortgage valuation is not a survey – it is just a cursory look at a property to assess how much the property is worth. It is required by your mortgage lender to ensure the property is sufficient security for the loan. Your lender will insist on using a company they trust and you will have to pay for it. The cost of a mortgage valuation varies depending on the size of the property (from around £350). Some lenders throw in free valuations as part of a mortgage deal; but don’t let that sway you. A deal with a lower interest rate is likely to save you far more over time, even if you do have to pay a bit more for the mortgage valuation. Who carries out a survey? Survey costs vary from company to company, and depend on the size and location of the property. No a property survey is optional. But they can help you avoid expensive and unwanted surprises, like an unexpected rewiring job, as well as giving you peace of mind by telling you that those hairline cracks don’t mean the house is falling down. Given the hundreds of thousands of pounds it costs to buy a property, a few hundred pounds on a survey to have the reassurance of an independent, expert surveyor looking over it feels like a good investment. With the information from the survey you might reconsider whether to buy the property or use the unbiased information you have to renegotiate the price. If you find for example it needs £15,000 of roof repairs, it is reasonable to ask for £15,000 off the price. Alternatively, you might ask the seller to fix the problems before you buy. What sort of survey should I get? There are a number of different types of survey. What you choose depends on the depth of survey you want and your budget. A Condition Report is the most basic survey you can get, and the cheapest. Costs are £300 or more. A HomeBuyers Report will tell you any obvious major problems – obvious rot, subsidence, etc. The cost of a HomeBuyers Report starts at £350. But, the surveyor is non-intrusive: they will not look behind furniture, nor lift up floor boards or drill any holes, so any report they draw up is limited. The HomeBuyers Report with survey and valuation includes all of the above features, plus a valuation and an insurance reinstatement value (how much you would receive were the building to burn down). The cost of a Homebuyers Report with survey and valuation is £450 or more. Unless specified, it probably will not include an insurance reinstatement value estimate, or a market valuation. Do I need a survey for a new build property? For new build properties, we recommend a professional snagging survey is carried out. A snagging survey will identify defects or problems which need fixing before you move in. A professional snagging survey should spot minor issues like a door that’s misaligned and catching on the carpet to something more serious that could affect the structure of your home. These typically cost between £300 and £600. If the new build you are buying is built and ready, you would ideally carry out a snagging survey before exchange. If it’s off-plan then try to carry out the survey pre-completion when you will have more negotiating power to get any problems fixed. This is assuming the developer lets you on site, which often they do not, in which case get a snagging survey carried out as soon as possible after moving in. Given the number of complaints and calls for help we get from visitors to our website, the HomeOwners Alliance is proud to have teamed up with one of the best known snagging inspectors in the UK, New Build Inspections. Unlike many other snagging companies, they never work for developers or builders so can retain their independence. Get a free, no obligation quote from new build inspectors here. How do I find a good surveyor? Going with the surveyor recommended by your bank, estate agent, mortgage lender or other property expert can end up costing you more. Get quotes from a few local firms and compare. We often hear complaints that survey reports come with so many caveats that it is difficult to know how to respond to them; ask if you can see copies of past reports – will that sort of report be useful for your situation? Check your surveyor is a member of the Royal Institution of Chartered Surveyors (RICS) – he or she will have the letters MRICS or FRICS after his or her name. The RICS ensures that all its members maintain professional standards in their work. How can I get the most out of my survey? Take a look at our guide “What to do after a bad survey report” For more advice on what to do if the property you want to buy has problems flagged in the survey become a member of the HomeOwners Alliance to speak to our helpful team. We had a survey by Connells on a 9 year old house with wooden double glazed windows. They listed the window condition as ‘good’. On moving in we found that some are leaking to a point where the window sills are damaged and others are rotten on the outside. We have been quoted over £5000 to rectify (there are 27 windows). They have since reinspected and completely fobbed us off. Apparently the rot all happened within the 2 months between their survey and us moving in. Also, they couldn’t have know about the leaks as it wasn’t raining much last year… Even though the sills are stained and damaged from water! Their finding were just assumptions to wriggle out of responsibility rather than based on any facts or findings. So having paid for a full condition report survey and being told windows were in good order with only normal wear and tear we are facing a £5000 bill. My wife and I are looking at buying our first property, however we are split between two. One has a couple of category 3’s regarding damp and a section of render of the chimney stack being damaged on the home report, which i believe is of the single survey type. As we really like this one what survey would be best to determine cost of repairs etc? Also, after having an offer accepted, if we are unhappy with what the survey brings up and wish to remove our offer are there fees that need to be paid etc? Hi Carol, it’s not mandatory that you have a survey done, but it is risky not to. Have a read of the article – the same principles apply whether it’s a house or a flat that you’re buying. Hi, we are buying a flat in a block of 6 flats, on the first floor. It’s a shared freehold and the building is 70’s era. Would we need to have a survey on this please? I am buying a ground floor flat in a terraced house. I have heard that getting a buildings report may be a waste of money, as to do the full checks they need access to all the rooms in the entire building, which obviously they wont have. Is this the case? Is there still a point in me having a homebuyers report as well as the valuation? I’m buying a studio basement flat in a large converted house (seven flats in the building in total). I’ve spoken to different surveyors who have recommended different things with regards to homebuyers report vs. building survey). What would be best? It’s common for older extensions and loft conversions not to have full paperwork – and this is often dealt with by way of indemnity insurance. Raise this with your conveyancer. In terms of survey, if the property is older has had some undocumented work, it’s worth having a full structural survey. You can find quotes for local surveyors on our website here: https://hoa.org.uk/services/building-survey-compare-quotes/. Hi, my son is in the process of buying his first property. The property has a loft conversion but as the vendors have no paper work the house is being classed as a two bedroom not three. What type of survey would you suggest ? Hi Marian, It’s a personal choice but I’d get a full buildings survey. It’s an older building and you want to know the renovations were done well. If you need any help at all or want to talk over your survey when you have it, consider joining us and our home helpline team are there every step of the way. I am hoping to purchase a barn conversion which was built in 1858 but newly renovated in 2014. What survey would you advise, if any. Many thanks. I AM BUYING A FLAT IN A THREE STOREY BLOCK. THE FLAT IS ON THE TOP FLOOR. DO I NEED TO HAVE A SURVEYOR CHECK IT. Buying my grandmothers house, do I have to have searches etc done or can it just be the valuation for the mortgage? We are getting a new-build but at the same time my partner has been diagnosed with terminal cancer so I can’t chance, and don’t have the time to argue with, builders’ potential problems with our new home. Do we need to get a professional survey AND snagging survey done separately, and which of the 3 surveys above would be recommended? Do the builders HAVE to allow us at least the professional survey…? Because I read that they don’t always allow a snagger to come in. Does the survey have to be done afterward? Basically… for a new-build, does it matter if the survey and snagging is done pre- or post-completion (or even more importantly, pre- or post-exchange of contracts). Please could someone tell me if there is a difference between a buildings survey and a structural survey. I am wanting to get as full a survey as possible for a victorian terrace (not interested in getting a homebuyers report). Richard Gibson, it depends on whether or not you are actually out of pocket as a result of the “defects”. If the issue NEEDS remedial work and can’t be left as it is and this was the case at the time of the survey in 2013 then you might have a case. If however there is no explicit need to carry out remedial works (as is often the case with longstanding movement) then the suveyor is probably not at fault. The Monitor, Cavity walls often have entry points, for example the top of the cavity visible within the roof void as do ceilings, for example under the insulation in the roof void. It is also common practice to drill holes for endoscopes, take up floorboards, unscrew panelling, dig trial holes to look at foundations, etc. if this is an additional extra service requested and paid for by the buyer and the permission of the vendor has been obtained beforehand. Finally, regarding the value of a survey, the RICS did a poll in 2013 which determined that, on average, homebuyers who didn’t have surveys versus those that did were finding £5750 worth of unexpected remedial works after they had bought the property. Read over the report from your full building survey, however, I would think it is very likely to include disclaimers meaning it would be very difficult to claim against the surveyor. Best option would be to see what your insurers have to say. Hi, We had a full building survey carried out in March 2013 on our 1952 detached house. The survey came back stating that there were no issues with the roof and the surveyor inspected the loft space as part of it. I have now found that there has been some movement of the roof over a long period of time and the weight of the roof and pearling has rotated the 4″x2″ timbers that the trusses sit on, and there are cracks in the single skin wall that this sits on. This has been an issue before we bought the place because there are two wood wedges that have been inserted previously. Can you tell me how I can deal with this situation, and whether I should contact the surveyors or go through our house insurance? Thanks for your query. Have a look at our guides on: Buy to Let & Buy to Let mortgages explained – the section on landlord responsibilities highlights some of your legal responsibilities as a landlord. Also see our other useful guides: What sort of survey should I have?. Also, DIY Quick Check Survey for house hunters. You can compare quotes for surveyors here: Building Survey: get local price comparisons. If you would like to find a managing or letting agent to manage the property for you whilst you rent it out you can obtain further information on estate agents here and then enter lettings under the type of sale, once the results come up: Find the best estate agent for you They could guide you further on specifics of renting out the property, such as number of tenants you will have, type of tenancy, documents and checks to have in place. I am looking to buy a student accommodation flat for letting purposes and would think getting a surveyor to check all aspect and give me a verdict on the approximation of the flat value. Please assist me in letting me know things I must consider and try allocate me the perfect surveyor for the job. Thanks for your query. Do have a look at our information guide: Leasehold v Freehold – what’s the difference?. You may also read about: Service charges and maintenance companies: problems with your leasehold property. If you wish to enquire further about surveyors, you may do so here: Building Survey: get local price comparisons. I am buying a purpose built flat which is a 3 storey block. I am buying the middle flat. It is leasehold and there is an annual service charge of £1300. Do I need an independent survey? It seems like it could be a waste of money to me, but at the same time I am listening to the other posts on this site and it’s making me nervous. Please help!! You can only ask, I have since spoke with a independent RICS surveyor and he said i quote “if you buy me a pint I’ll sit down with you and we can look at anything that gives you concern” he then said he would meet afterwards for lunch and talk me through documents. I would say not to go with a bank and give it to a independent surveyor, don’t get stung like I did for the sake of £400…It really isn’t worth it! That simple payment would have stopped me from making the biggest mistake of my life, It has pretty much ruined my life and will take me a lot of work to try and rectify it. Wishing for a housing boom now to at least get out a little less unharmed. This site and comments are so helpful – thank you. We have requested a full building survey on the property we are hoping to buy. The surveyor is being engaged through our mortgage company. My query is this… can I ask the surveyor to check on particular parts of the building? We would like to know that the patio doors (all along one wall) are sound and not drafty, that the single brick walls have been insulated on the interior as advised, the condition of the flat roof is good etc. Unsure what/if any say I might have prior to the survey starting. Any help appreciated. Many thanks. To Sue; Id still say, unless you are buying a house under a 10 year NHBC guarantee I would always opt for independent full structural survey, ALWAYS. Its honestly not worth the risk, there are plenty of independent companies who will complete a full report for you, some will even allow you to attend the survey with them if you are cheeky, they can point out issues to you. If I had simply just paid the extra 400 pounds for an independent report I could have saved myself and my family so much distress and worry as well as probably haggling 15k off the asking price, if I had even dared to buy it at all. Its so easy to make a turd glittery, especially if the seller is an experienced flipper! As I posted before just because you cannot see damp or rotten timbers does not mean anything at all, my seller I bought from had simply covered everything in timber framed dry lining finish and then skimmed without even using skrim tape, this became apparent as soon as we put the heating on. You are right “The monitor” No surveyor would have picked up on that but I am pretty sure they would have said, property has been drylined and I am unable to check behind plasterboard for signs of damp, that would have started alarm bells ringing for me. He would have also noted the asbestos roof and rotten timbers and fact that the fuse board had been replaced but no earth wires or bonding was attached, he would have also noted that the boiler was not vented and that the flat roofs were both coming towards the end of their lives, plus various other things that maybe I didn’t notice, the 6mm wire to the shower was the scariest!. Valuations which the banks perform are to so dangerous; for example, the property which was a 1940s semi detached was valued by Countrywide Surveyors at £110.000 with only one comment relating to the kitchen flat roof stating “Flat roofs have a 25 year lifespan and it may require changing eventually”. I part exchanged it for new build in the end which Barratts processed giving me a fair deal but I had to buy a very poor plot (very hasty in hindsight as I probably should have just tried fixing the money pit) but given the fact it needed at least 20k worth of renovation just off the top of my head and that was just for basic essentials boiler, electrics, roofs I gave up. It was resold for £85,000, the buyers bank then valued the property at £74,000 thus the buyer had to drop out. Not getting a survey is in my honest opinion completely stark raving mad and as I have said before I would hate for anyone to have to experience what myself and my family have endured. Its currently on rightmove as we speak for 89,995. All in I feel like I have just been scammed from start to finish and it would have all been avoided had I just shelled out 400-500 quid for an independent survey. Don’t be a Ralph…get a full survey! Please explain how a Surveyor can “look behind walls” and “above ceilings”, without damaging the fabric of the property. To do so would mean that the Surveyor would be guilty of a charge of causing Criminal Damage. Have read all the posts here with great interest. This site is an excellent mine of information for all of us on this sometimes fraught journey. I have just bought, subject to contract so I am crossing my fingers, a ground floor flat in a three storey building, managed by a reputable housing association which also holds the lease. I have been told that the association is responsible for the maintenance and upkeep of the fabric of the building and for the insurance except for my own contents and third party injury insurance. I have no doubt that my solicitors will check that out. A friend and I walked around the outside of the property and examined it as closely as we could from ground level, including the guttering, and believe it to be in sound order. The inside of the flat itself has no signs of damp and the woodwork appears to be sound. These being the case, I’d welcome advice as to what sort of survey I should commission and most importantly when during this process it should take place. For various reasons on which I don’t care to elaborate (sorry! ), I would not want to do it until I can have more of a “feel” that the purchase is likely to go through. I think that I may be I a similar situation to Ralph, my husband, and myself, are in the process of purchasing a flat which is leasehold. We have had a homebuyers survey carried out, which in parts could sound quite alarming. However, we are not qualified surveyors but believe that the surveyor may have been covering her back on certain issues. The similarity to Ralph, is in that we do need repairs to the roof, asbestos worries and old windows. We are having all of the radiators changed before we move in. I have now been advised to get a copy of the leasehold terms before exchange of contract. I am in a dilemma as to whether to continue with the purchase, these problems are weighing heavily upon me and causing me many sleepless nights! PLEASE ALWAYS ALWAYS ALWAYS ALWAYS get a full survey, I do not care if the property looks amazing, I am one of the unlucky who was stung buy thinking I knew better and got a valuation, the result over 20,000 pounds worth of renovations required electrics, mould growth, damp, low water table, wet rot, rood leaking, timbers cut in loft, asbestos, lead water supply, leaking flat roofs, condensation issues, old windows, boiler issues. It was a complete disaster and resulted in my having severe depression and anxiety issues. This decision literally changed the course of my life and I would not wish it to happen to anyone else, Estate agents are no better than bankers, using smoke and mirror tactics to tell you how amazing the property is, foolishly I fell for it and lost out BIG TIME!!! £600 survey not worth the paper it’s printed on, they’ll happily take your money and recommend you do £30k worth of work, but it won’t stand up in court if you need to rely on it… You’ll need “Expert Witness” costing £1,300… it’s amazing how many “Surveyors” will refuse to even often this as a service which shows they can’t be trusted on anything if they aren’t prepared to ever have their work scrutinised. Just be careful as even some RICS chartered surveyors tell lies. Just selling my house and first buyer had a survey done, my wife was in at the time and RCIS surveyor said there was woodworm, the roof needed replaced and the electric fuse box and wiring needed replaced. He also handily happened to have some numbers of people he knew who would do the work…. Buyer pulled out and we lost the sale. I then had an independent electrician and a roofer come in and inspect the house, result a single fuse needed replaced due to new regs and three tiles were replaced. Both the roofer and electrician were appalled at the remarks made by the supposedly expert surveyor. Use a chartered building surveyor who is A member of RICS with An honours degree and the report will be far better and useful than many people out there calling themselves ‘surveyors’. Independent surveyors such as our practice ALSO (in a lot of cases) have MORE qualifications along with more than appropriate levels of PI and PL insurance. Very poor comment that one! Had a valuation survey which I was charged by Bank £400 for. Different types of survey were not discussed in any detail, made a decision over phone. Do banks get a cut of the valuation fee ? (Surveyor told me on review of my complaint that they don’t receive the full amount ie Banks take a cut). That is a hidden fee if that is the case?. Report guidance notes not followed and specifications referred to in notes not dated. I have been advised that my complaint has been turned down as there have been appendix and update to the specs which contradict the report ie no longer check roof spaces (the basis for turning down my complaint. Jas the difference between the surveys you mention above is £300, not £200 ! Little disappointed there was no mention of having a HomeBuyers report done through the Mortgage Lender. Lenders compulsory survey is 195 pounds. But for 495 pounds (an extra 200 pounds) they will do the Home Buyers Survey. Not sure if I should let the Lender do it or go Independent? Really I suppose as you are buying a home, which will be a very important place, if the property is in anyway “high risk” or suspect it’s better to shell out at the start. Even if it comes to nothing you will at least have peace of mind. We are concerned because we are in the process of buying a brick bungalow which is timber framed inside. We don’t require a mortgage, so no lender will be surveying. However, if and when we try to suell up in the future, are there lenders who may refuse a mortgage to a buyer? Interesting article with useful info thanks. Can’t believe 80% don’t get a survey! I think it’s a gamble whenever somebody doesn’t – unless it’s a new build. I bought my house (built in 1992 – warranty expired) and had my drains checked. It saved me a pretty penny! Unless you have stronger nerves than me, I think it’s well worth it for the peace of mind.